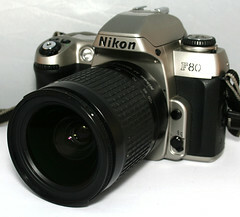 The Nikon F80 was introduced in February 2000. 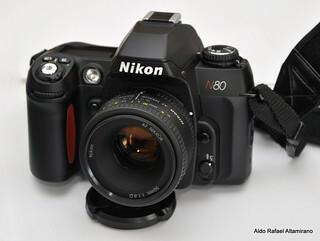 It was known as the Nikon N80 in the US. 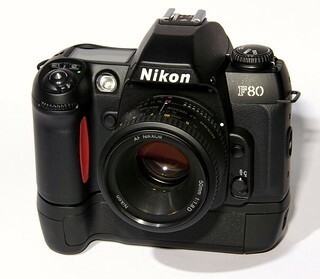 The F80 was Nikon's successor to the F70. 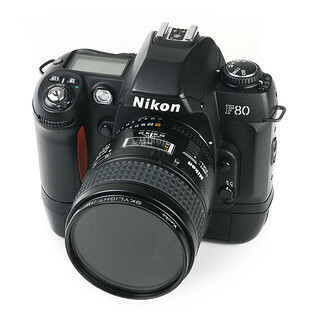 There are three versions: the original F80, the F80D which has a date imprint function and the F80S which has the date function of the F80D model as well as imprint exposure information between frames. In the Americas an N80QD version is also available with the date function; but an equivalent version of the F80S was never available. 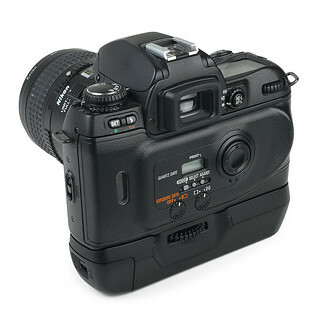 The shutter release has a threaded cable release socket which is very uncommon on AF SLR cameras of that period. 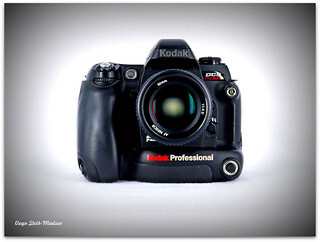 It was available in a manual focus Nikon such as the FM3A, but not available on any auto focus Nikons (F100, F5, F6) either. The last time it was used was on the F601. An optional MB-16 vertical grip is also available which allows using cheap AA batteries instead of costly CR123 batteries. 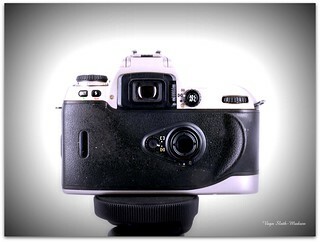 This is strictly a grip, there is no additional shutter release. 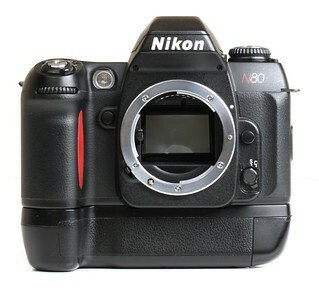 The F80 is compatible with Nikon F mount lenses, the preferred lenses include AF, AF-D, and AF-S lenses, all functions of the camera and program modes P, S, A, M will operate with these lenses. VR enabled lenses will work as well. 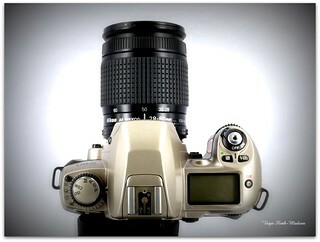 AI, AI-S as well as converted AI lenses if able to mount will work but without a light meter function or aperture info. Up to 18 setting can be changed on the camera. 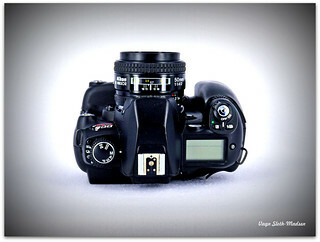 Set the exposure dial to CSM and rotate the main dial to the corresponding number. Use the sub dial to change the settings. Here are a few often changed settings. 8 Auto film load: 1: auto 2: disabled. 13 Rewind: 0: high speed 1: quiet. 16 Self timer duration: 2, 5, 10, 20 sec. 17 LCD lights with any button press: 1: disabled 2: enabled. Not compatible with infra-red film. many F80 and N80 have problems with sticky rubberized body parts. F80S with MB-16 vertical grip. N80 with MB-16 vertical grip. Metering: Matrix, Center weighted and Spot. Shutter: electronic, 1/4000 to 30 sec in 1/2 EV. Focus: TTL phase detection with -1 to 10 EV range. Film speed: Auto DX 25 to 5000 ISO; manual 6 to 6,400 ISO in 1/3 inc.
Film transport: Automatic advance, approx 2.5fps in continuous mode. Automatic rewind in 15 sec, or 23 sec quiet mode. 36exp roll. This page was last edited on 2 February 2019, at 20:32.